DIY Natural Weed Killer! It’s cheap too. As many of you know, we live in the deep south where the bugs are plenty and the plant life thrives. Among the plants that we enjoy seeing are even more that we don’t – weeds! Here is a recipe that will effectively kill weeds that is totally kid safe, pet safe and only costs a few bucks to assemble. We got the one gallon container/sprayer for under $10 – you can get the sprayer here. Just mix it all together and it’s ready! It just takes a few minutes to go around and spray the weeds. The after picture below is after 36 hours. Our “This House Runs Best on Love, Laughter and Lots of Beer” print was featured on HipBabiesUnite.com! A big thank you nice folks over there for taking the great pictures and sharing them with everyone! You can find the print here at our website. Just recently, our Etsy shop showed we were getting online traffic from Country Living magazine’s website CountryLiving.com! 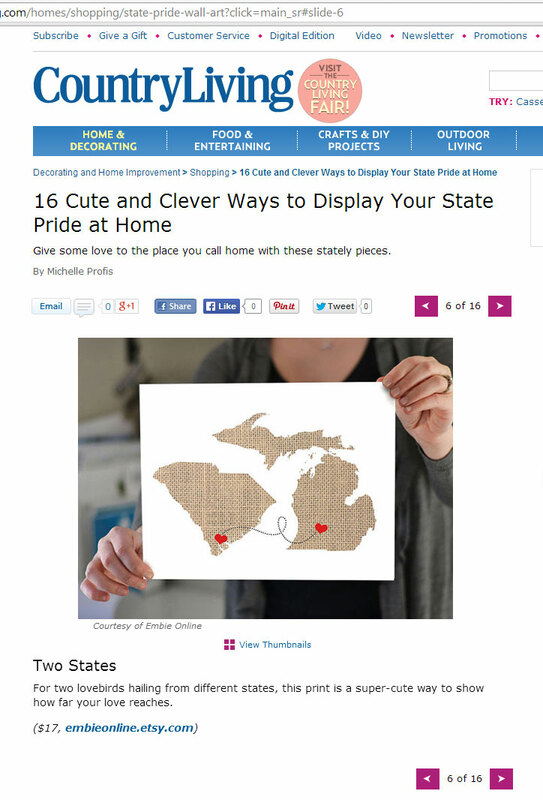 Our Natural Series “Love Connection” print (available here) was part of a gallery called “16 Cute and Clever Ways to Display Your State Pride at Home”. You can read the whole article here. It’s always surreal and humbling to see our little shop on huge websites like this. Thanks for the support Country Living! 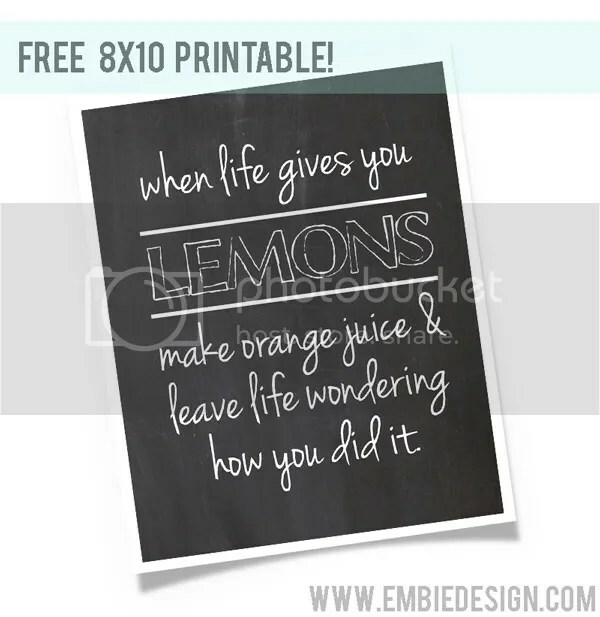 Who doesn’t love a free printable? 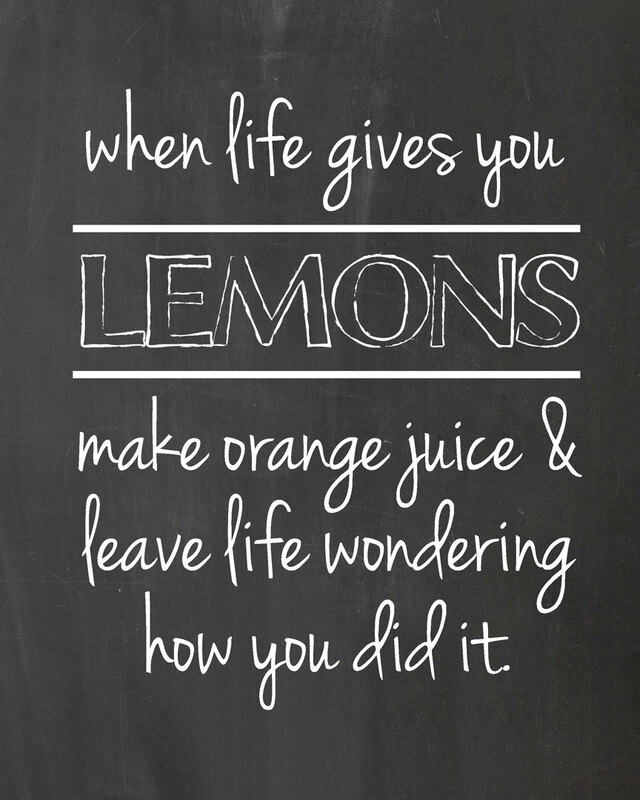 I came across this quote recently and thought it was a fun twist on the old ‘When life gives you lemons’ adage so I whipped up a quick printable to share with you all! 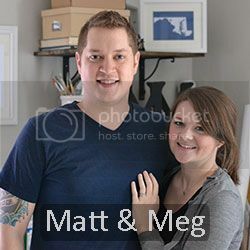 Just right click and save the image below – it is set to print as an 8″x10″ image to fit standard frames. Right click – save – print & enjoy! Personal use only. May not be sold or altered.